Yoga Classes Under New Management! Parkway and Veterans Highway. 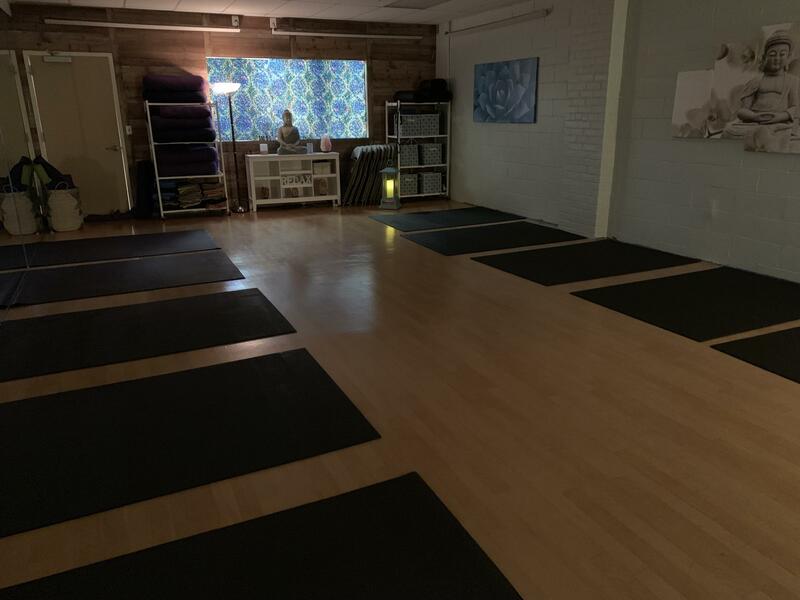 Body in Balance offers a variety of yoga classes and styles of yoga to suit the needs of all practitioners from complete beginner to advanced. We also offer Tai Chi weekly. We offer daytime, evening, and weekend classes to fit into all schedules. 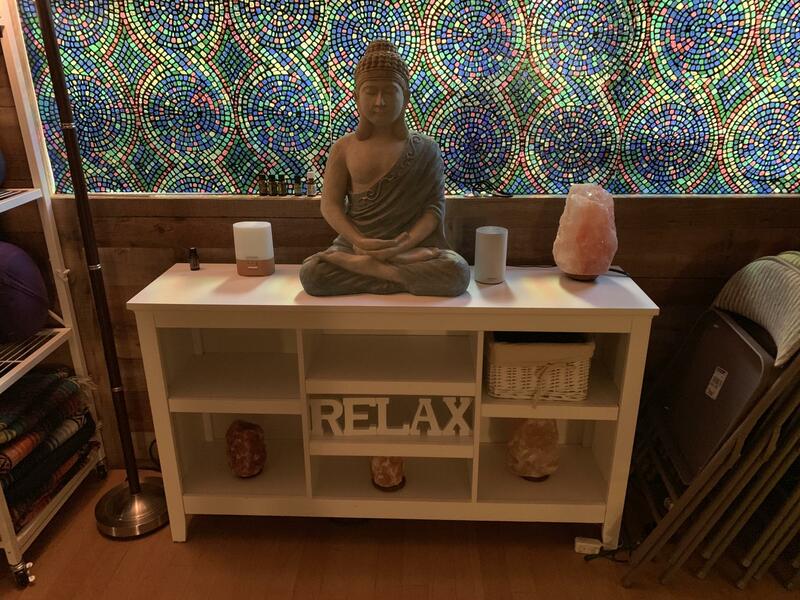 We also provide semi-regular specialty classes, including Candlelit Healing Guided Meditation with Reiki and Flow Harmony (yoga with live music). Gentle Yoga – Gentle stretching through basic postures to achieve the maximum results that tones the body, improves range of motion, strength, and overall healing. Chair Yoga – This class will both challenge and support you while gaining a healthier body, mind and spirit through conscious movement and meditation. Beginner/Basic – This class is geared for those who are looking for a bridge between Gentle/Restorative and Vinyasa style classes. All levels are welcome. Restorative – Deep stretching and relaxation. Props are used to support the body, promote healing of injury and illness, and provide stress relief. Basic Yoga – Bridge between Gentle and Basic Yoga. Emphasis is on light-heat building, standing and balancing postures with 10 minute mindfulness-based stress reduction meditation. Meditation – Learn to use your breathe to help reduce stress, improve sleep and overall sense of positive well-being. Explore different modalities that will resonate with you. Warm Vinyasa – This class is geared for those who are looking for a bridge between Gentle/Restorative and Vinyasa style classes. The room will be heated up to 85 degrees. It will warm up the body, build heat, maintain heat, and cool the body down. Vin/Yin Fusion – It's a mix between a flow class that helps to warm-up and wake-up the body, not much heating building, but we take time to stretch out the body and get into the connective tissues and fascia through holding passive postures for a longer period of time (yin). - Yoga, literally meaning "union," is the only form of physical activity that truly integrates the body, mind, and spirit. By practicing "asanas" (postures/poses), the body is given a total body physical workout, which not only strengthens and tones the body, but also provides deep stretching, relaxation, and improved flexibility. It is a holistic approach to total physical and emotional health that improves physical fitness and mental and emotional well being. - Yoga begins with the breath and enables practitioners to integrate the breath to provide the backbone for an empowering practice. This connection to the breath is what sets yoga apart from other forms of activity. It invokes a deep sense of relaxation, stress relief, inner healing, and peace, as well as marked physical improvents in the respiratory and cardiovascular systems. - Yoga is the perfect complement to a regular exercise regimen. Improving flexibility through yoga helps enhance strength and prevent injury. Yoga also helps to tone muscles and improve core stability. - Yoga enhances healing and works synergistically with physical therapy to improve range of motion and strength, and aids in recovery. - Yoga improves posture and helps maintain a healthy, flexible spine. It is the ultimate form of preventing low back and neck pain or healing pre-existing back and neck injuries.